Cannabis edibles have become increasingly popular over the last couple of decades, especially with the growing number of people who use the plant for medicinal purposes. It doesn’t have the same health impact as smoking and is often a more palatable way to take cannabis. It can also be more discreet. There are plenty of options out there if you take the time to look but the usual method is to turn your cannabis into either an oil or butter that can then be used in cooking. The process generally involves steeping your cannabis in your medium and heating it up for a few hours. The cannabis is then infused and can be stored and added to savory dishes, sweets and, of course, the traditional brownies and cookies. You can try our recipe for cannabutter here. While the process of cooking with cannabis is relatively easy, there are some tips you should know which will help you get more out of your butter or oil. According to some top cannabis chefs, there are a few mistakes that people regularly make or things they don’t quite understand about the process. 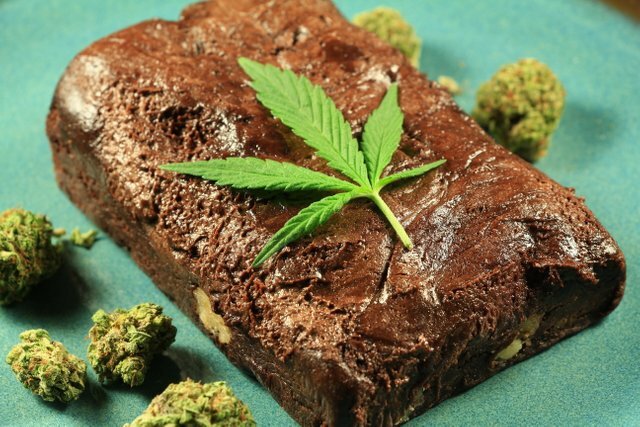 Here’s our list of the top six things that could make your next batch of edibles even better. Many beginners will grab a big load of cannabis plant and throw it into their mix without really considering quantities. The truth is that your cannabis product can only bind with so much in your oil or butter. That’s basic chemistry. What this means is, when a certain amount has been infused, the rest is just wasted. The general consensus is that you should do everything here on a one to one basis. If you have a cup of butter, then you should combine with just with a cup of cannabis. 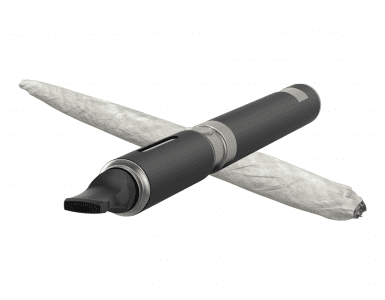 You don’t have to get expensive product either – you can use areas like the stems and trim, leaving those more costly buds for other things like vaping. Quantity can also be a big issue when it comes to the strength of your cannabis. At least when you are first starting out making edibles, also verge on the less is more side. You can always increase things later. Most people don’t know what this is, especially beginners. Too often they will throw their cannabis product into the slow cooker and hope for the best. This means you end up with a pretty nasty tasting butter or oil and one where the cannabinoids haven’t been activated as much as they should. Decarboxylation is the process whereby the full value of your THC is released. It’s partially achieved by drying and curing your cannabis before using it. When heat is applied, however, this completes the process. Most people experienced at cooking with cannabis suggest that you decarboxylate first – and that means putting your product in the oven and heating it up. Set the temperature of your oven low at around 220° F, grind your cannabis and put it on some baking parchment. You should be looking to slow bake for between 30 and 45 minutes. We suggest mixing your cannabis up every 10 minutes or so during this time. This ensures the baking process is uniform. If you’re really cut for time, you can up the temperature a little and reduce the time you spend baking. If you want good results, however, we suggest you bake for longer at the lower temperature. You can also decarboxylate your cannabis in oil though this can be a little more fiddly. Ideally, you want your slow cooker to have a temperature of between 120 and 200° F and you have to continually check with a thermometer to make sure it’s not going above this. The finer you grind your cannabis, the more you’ll get out of it, right? Wrong. Too fine a grind can actually be detrimental. For a start, it can make your cannabis seem a little grassy and that’s because of the chlorophyll. It will get into the oil or butter and effects the taste. Fine grinding can also make your product turn green which is not necessarily a bad thing but can put some people off. Finally, you will need to strain your butter or oil at the end and, if the grind is too fine, you’re not going to be able to do this properly. We suggest that you decarboxylate your cannabis first and then use a hand grinder to break it down without producing a fine powder. This should be enough to get the cannabis goodies out while leaving unwanted plant materials like chlorophyll still in place. You can then strain all the bad stuff out pretty easily when it comes time. After you’ve spent hours simmering away and stirring your oil or butter, you will need to strain it. This is one area that is often gotten wrong by newbies. The temptation is to push through the butter like you would during normal cooking. What happens is some of the unwanted plant material will get through and affect the taste. You need to use a good quality, fine cheesecloth placed over a sieve. Pour your cooked butter or oil into and let gravity do the rest. Don’t touch it and don’t try to squeeze the cheesecloth out to get the most from it. Just pour and wait. Yes, there will be some residue left but what you have is a quality cannabutter or oil product that is going to be tasty enough for cooking. Remove the cheesecloth carefully and pour your cannabutter or oil into a good storage jar with an airtight lid. One of the big questions those new to cooking with cannabis ask is how much should you add to each recipe. Just because you are making brownies and the recipe calls for 4 ounces of butter, doesn’t mean that has to be ALL cannabutter. You are generally going to be mixing in with traditional products. Most people will get it wrong – they’ll either put in too little or too much. As you might expect, you should always dose low and increase if you have to or want to. There’s a lot of experimentation that goes on here and each recipe can be different. The last thing you want is to get everyone high as a kite. If you really want to test the potency of your butter or oil, before you start cooking with cannabis, we suggest taking about a quarter of a teaspoon and adding it to a drink or meal. Once you’ve done that, wait a while. Unlike taking cannabis through vaping or smoking, edibles will generally take time to work, often at least an hour or so. That’s because the edible has to go through your gut first before it gets into the bloodstream. If you’ve picked the right amount, you can then translate that into any batch of food such as brownies or cookies that you are making. People make the mistake of throwing their cannabis butter into the mix and giving it a quick swirl around with the spoon. The trouble here is that you are going to end up with a finished product that has varying amounts of cannabis in different areas. One cookie may get you very high while another will do practically nothing. Our big tip for cooking with cannabis is to ensure you mix your ingredients properly to get an even spread. Many a batch has been spoiled by not following this simple rule, so put it at the top of your checklist of things to get right. Cooking with cannabis is not difficult but these few tips should ensure you create an end product that is good enough to eat and delivers the effect you are looking for. Again, we should reiterate that you need to be careful about how much you consume as the cannabis can take a good while to get into your system. This is usually a rookie area but don’t be tempted to munch on more just because you currently feel fine. That also means cutting up cookies and brownies into manageable pieces that deliver just the right high. For most people that means experimenting but combine that with a little common sense. Once you get the hang of things, you can usually judge how much you’re going to need, especially if you use the same cannabis strain each time. If you do change, for whatever reason, make sure you go through your testing procedure. Cooking with cannabis is a joy and there are plenty of recipes where you can add it in small quantities. We hope these tips will make your experience even more enjoyable.